Managed VPS with high availability resources, providing stability and performance with 24 hour management. We use the latest state-of-the-art dual cpu configurations with, hex core or better CPUs, 64~192GB RAM and Hardware RAID with SSD storage for maximum performance. With todays web applications requiring more and more power, you need the best hardware. Ideal for large, busy e-Commerce sites. 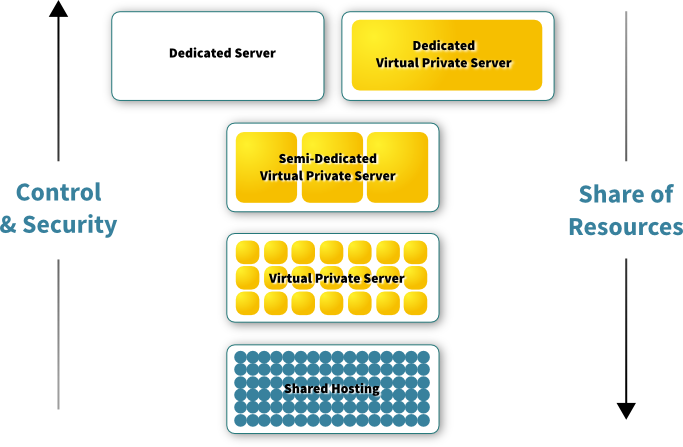 What is a Dedicated Virtual Private Server? A Dedicated Virtual Private Server is the final step along in the resource migration tree before you move to a Dedicated Server. With a Dedicated Virtual Private Server, only your VPS is on the node, also otherwise known as a Hybrid Virtual Private Server. As the number of users on a node increases, your control and security decreases. Conversely, your share of resources increases as the number of users decreases. Let us take the technical hurdles out of your routine so you can get on with running your business. Relying on our managed dedicated VPS solutions will let you focus on the business whilst we provide total support coverage. We'll also provide you with hands on guidance with any aspect of the service. We take care of setup, configuration, updates and maintenance. Check out our Dedicated Servers. Why not a Dedicated Server? A dedicated server provides the ultimate control for your server but it comes at the cost of being the hardest to set-up and maintain. With a Dedicated Virtual Private Server, you still have full use of our control panel to manage your VPS. You'll still have out-of-band access via our Recovery Console should you accidentally prevent your server from booting or if you're a little too strict with your firewall rules and all without needing a KVM (keyboard, video, mouse) session - all you need is an terminal.